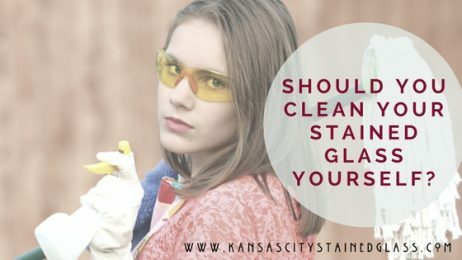 Can I Clean My Kansas City Stained Glass Myself? Does Your Stained Glass Need Cleaning? b. whether or not doing it yourself is good for your health and the health of your stained glass. To find out when to clean your stained glass yourself and when to hire a professional–keep reading. Stained glass is a surprisingly durable material, however, you really need to be cautious when touching it or cleaning it. If you simply want to get rid of some dust on your stained glass, then, by all means, use a duster and lightly sweep away cobwebs and other dust. In the case that your stained glass needs a bit more cleaning, you can use a basic dish soap and water to get rid of light grim. Just make sure you are in a solid position, not on a ladder or window sill, so you don’t fall into the glass. Clean by gently rubbing each pane of glass from the inside out with an up and out motion. But BE CAREFUL and never scrub the glass. You likely want to go back through each piece with a wet soapless clothe to “rinse” any residue left on the glass from cleaning too. Like we said above–stained glass can hold up pretty well but caution is important if you want your stained glass to have a long life. 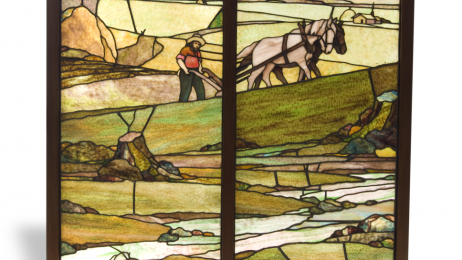 The best idea for stained glass cleaning is really, to call a professional like Kansas City Stained Glass. Below are solid reasons you absolutely need to call a professional. If you are ready to get your stained glass looking like new but don’t want to deal with the hassle and danger of cleaning it yourself, remember, there are experts to do it for you. Keep in mind also that a simple cleaning is much less expensive than an extensive repair should you damage your stained glass doing it yourself. Contact Stained Glass Kansas City today for a free stained glass cleaning estimate! Do you love contemporary furniture and decor? If so, you should consider adding a contemporary styled stained glass window to your home! In Kansas City, where the arts are well alive and very much celebrated by the city’s many theaters, museums, and art galleries, contemporary stained glass is a perfect choice for adding artistic flare and color to architecture. Contemporary stained glass can add that bit of color and shine to make your home look modern, unique, and inviting. Although many know Arthur Capper for his role as a United States Senator, the stained glass windows in the Kansas Museum of History remind us that he was actually a Kansas native. They tell a story much different than the Arthur Capper that most of America is familiar with, a story of a simple man with big dreams and honorable ideals who held an immense love for his home state. While large windows can be beneficial for letting in extra light, they can also create an issue of privacy. This is especially true for newer neighborhoods like those in Lawrence in which the homes are constructed closely together. But here at Kansas City Stained Glass, we have a solution. Lawrence, Kansas homeowners can install privacy stained glass in entryway or bathroom areas to reduce outside visibility and protect the privacy of their family and guests. In this post, we’ll dive into some of the benefits of privacy stained glass and also give you some ideas for designs to get you started with your renovations. Can I Clean The Stained Glass Windows On My KC Home Myself? 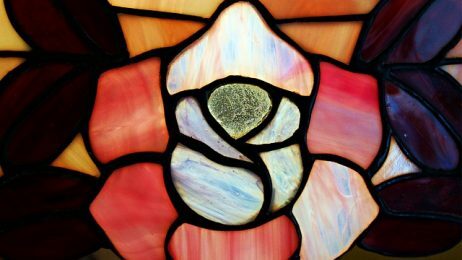 We get a lot of questions here at Kansas City Stained Glass both from people who have stained glass or want stained glass and we are always happy to answer them! Probably the biggest question we get from people who have stained glass is on how to care for the glass they already have. Keeping your glass free of dirt is a good way to keep it looking good for a long time and keep grime from building up on it. You can do this simply by lightly running a dry soft cloth over it, every now and again. However, to get off build up that may already be on your window there is a fairly simple process to follow that will have your windows looking bright again in no time, providing they are not too dirty (which may require a professional cleaning). The steps below are a starting point for a home cleaning but we cannot stress enough–if there is too much buildup or any type of structural damage at all please leave it to a professional like us at Kansas City Stained Glass. Start by running a soft dry cloth across the glass. 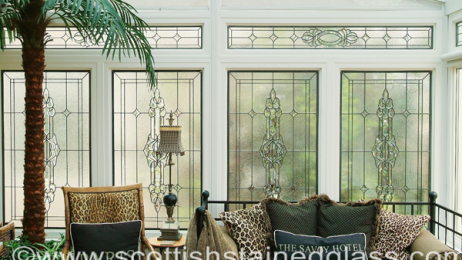 Stained glass is actually very durable but use care as older windows may have loose panels. If you come across a broken, cracked or loose pane of glass be sure to call Kansas City Custom Stained Glass to repair the piece and finish the cleaning. Start from the top of the window and work your way down, cleaning each pane within the leaded frames individually. Feel free to scrub but do not press on the glass too hard, lest it cracks. After you finish each panel, go back with a cotton swab to clean the by the leaded perimeter using a circular “scoop and lift” method to get the grime by the lead. *Don’t forget to put a towel down on the ledge of your window to keep the water from ruining your wood frame. **Also Be aware that leaded glass windows contain lead, which can be dangerous to you and especially to children when it is ingested or becomes airborne. As such we recommend wearing gloves and using proper disposal techniques for any cloth, swab, water or container used in the process. 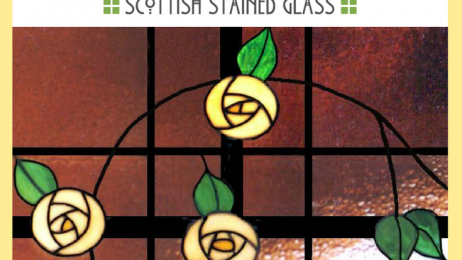 Kansas City Stained Glass started out over 25 years ago with a simple mission to bring the same quality of stained glass to the United States, that we saw all across Europe. Which is why we blend deep old world knowledge with modern techniques to give our customers the very finest in stained glass construction and restoration. Additionally, we understand how to work with Church communities to get a consensus from everybody in an efficient and professional manner. 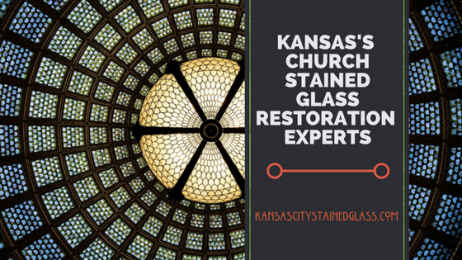 At Kansas City Stained Glass we believe that stained glass restoration is only as good as the hands doing the repair, which is why we hire only the highest skilled tradesmen to work on the historic stained and leaded glass of churches and cathedrals just like yours. When it comes to restoration, it takes a gentle hand and nobody knows that better than our fine craftsmen. Beyond the two very important aspects of experience and craftsmanship are the deep commitment Kansas City Stained Glass has to customer service. We hold ourselves to a high standard of excellence with every transaction and it is evident from your first call until the last installation expert leaves your church. It is for these reason that Kansas City Stained Glass is Kansas and Missouri’s stained glass experts. Contact us today to schedule a free, on-site estimate for your churches stained glass restoration. In our beautiful city of Kansas City, well-manicured lawns and magnificent houses dot the landscape. People here take pride in their abodes big and small and take great care to keep them looking good and well-detailed. This attention to detail and beauty is the reason why stained glass for Kansas City homeowners is a great choice and has the ability to fit perfectly into numerous areas of their homes. Stained Glass For Kansas City homes is a great addition and a lasting heirloom for you and your family. While it will work well in any window on your home there are places, there are some areas stained glass is especially well suited to. Stained Glass For Your Kansas City Entryway Windows: When looking for a stunning way to welcome guests to your home and building curb appeal, stained glass windows are a sure way! Stained Glass For Your Kansas City Bathroom Windows: Privacy is hard to come by in cities which is why stained glass is a highly functional and beautiful addition to your Kansas City bathroom. Stained Glass For Your Kansas City Kitchen Windows: A great way to give your kitchen a pop of color or style is by adding custom stained glass to your cabinets. When it comes to stained glass in Kansas City, there is no better company in the area that Kansas City Stained Glass. We hire only the most skilled artisans to work on our stained glass windows so that we are able to guarantee beauty and durability to our clients. Our experience spans three decades and numerous desirable design styles. When looking for a stained glass window for your Kansas City home come to us first. We will give you a free estimate and always offer a quick turn around time. Contact us today to get going a stained glass window and the home of your dream. Kansas City has long had a reputation of being a beautiful city. The streets of our town are lined with some of the most beautiful homes and architectural structures in the world. So it’s no surprise that a fast growing trend has arrived quickly to our region and is already being taken up by architects and interior designers in the area. More and more Kansas City homes are being built with stained glass windows. 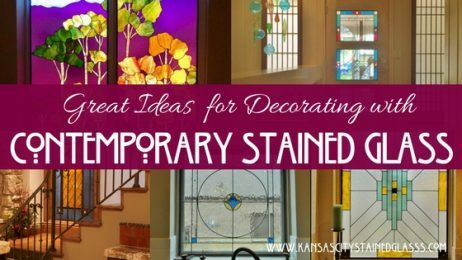 And at Kansas City Stained Glass, we couldn’t be more excited about this new trend. With spring here and summer just around the corner, you can feel the love in the air! Spring is a fantastic time: birds chirping and flowers blooming. It is a time for renewal and new beginnings and for people in Kansas with soon to be brides and grooms in the family–it is absolutely the time for weddings. We are very far into wedding season but if you are similar to us, you likely have a bunch of wedding invites stuck to your fridge and at least a couple of weekends reserved for the weddings of a few special couples this summer. 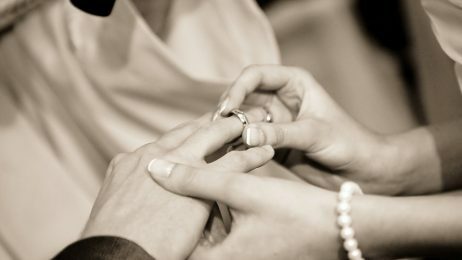 Wedding gifts can be hard to find for any couple getting married, but let’s face it, It is that much harder trying to find a gift for people who are near and dear to you. You want something unique and meaningful to show how much you care. Of course, there registries and they can help guide you at least, but gifts from registries never seem special and are arguably predictable and borderline boring. If you are pursuing registries for that special couple’s gift and just aren’t finding that special something, it is time to consider something no one else will even think to give from us here at here at Kansas City Stained Glass. A meaningful present that will become an heirloom down the road is–a custom stained glass window or panel. This is an awesome gift idea for those you love the most and it will have the newlywed couple smiling and maybe even shedding tears of joy when they open it. It is such a wonderful way to mark the beginning of a couple’s life together and can take on special meaning when you customize to them. Monograms: Have the first letter of the couple’s last name stylized in a field design of your choice. Wedding Date: There is no better way to memorialize a wedding than to have the date included on a beautiful stained glass window or panel. Wedding Colors: The colors a couple chose for their wedding are likely their favorite, so having a stained glass window or panel made with them is a sure bet. Engagement Picture: Stained glass can be made to mimic a real life picture to memorialize the bride and groom in a stylish way. No matter how you choose to use stained glass to mark the special day the bride and groom will recognize and appreciate the loving thought that went into their gift. However, if you just don’t feel sure on choosing the size, color or style–don’t worry, we can help. Many people who come to us decide the best way to give the bride and groom exactly what they want is by giving them a gift certificate for custom stained glass This means they are able to pick out what they want to have made, to fit the area of their choosing, to memorialize their big day. If the price tag of a stained glass panel or window is a bit high for your budget a great idea is to consider giving the stained glass as a group gift–so many different friends or family members can participate in giving something special! If you live in the Kansas City area and are looking for a unique, wedding gift to mark the wedding of someone you love, contact Kansas City Stained Glass today to discuss a custom stained glass wedding design today! Generally speaking a lot of people associate stained glass with religious institutions. It is fairly natural to think that way since stained glass can be seen in so many religious settings such as cathedrals, churches, synagogues and even mosques. Another association most people make with stained glass is in home decor from the victorian or craftsman design time period. Actually, many people who own a home built in either of those time periods may have a stained glass window or tow on their home. 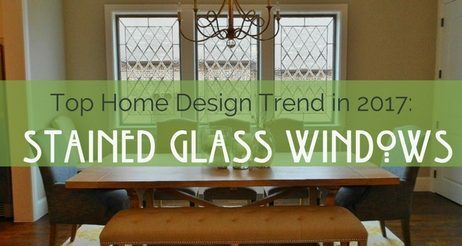 This can be attributed to iconic designers like Frank Lloyd Wright and The Greene Brothers, who, during the first half of the 20th century, used and forever linked, stained glass in home decor. Since that advent, stained glass has begun to pervaded home style and rightfully so–its popularity has only risen and is just as in vogue today than ever before. At Kansas City Stained Glass, we are proud to continue the work of such design icons, day in and day out, and have a deep appreciation for the strong and lasting impact they had on American home style. There is no debating that stained glass is a form of art. What you may not know is–it is known as “practical art”. It can be customized to suit nearly any design style or taste but is also the epitome of versatility in home decor. In fact, there really are no restrictions on which room stained glass can be used in.. Any room in a house: bathroom, kitchen, living room, the entryway will look fantastic with the addition of stained glass. Once may even want to consider creative applications like a fireplace screen, stylish cabinet doors or even on ceilings! The wide variety of uses of stained glass, both practical and artistic is key to homeowners looking for a creative home display and practical application benefits as well. 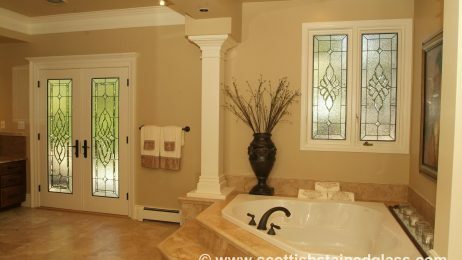 • Stained glass is a beautiful privacy option– especially useful for spaces like bathrooms or bedrooms. • Stained glass can express your personal tastes and act as a centerpiece for a design overhaul. Whether you decide to employ stained glass for a practical or artistic application, the result will always be elegant and useful. Moreover, it is sure to delight you, your family and guests for years to come and will likely be the star of any room. In fact, we hear from happy customers all the time, saying they find reasons to fall in love with it all over again each and every day! If you live in Kansas City, or the surrounding area, and are considering a stained glass window to brighten or update your decor, contact Kansas City Stained Glass, today and let’s get going an heirloom quality piece of glass for you and your family to enjoy for generations to come!